You can earn money freelancing if you follow the rules! Want to be a Freelance Writer? Read on! If you're reading his, you probably want to succeed as a writer. Maybe you'd like to publish a book (or two, or three), or be a regular columnist for an online news site. Or perhaps you'd like to market your pieces to well-known publication. But you can shoot yourself in the foot if you don't follow a few guidelines to help you become known, get a following, be adored by your editors and, best of all, earn money as a writer. 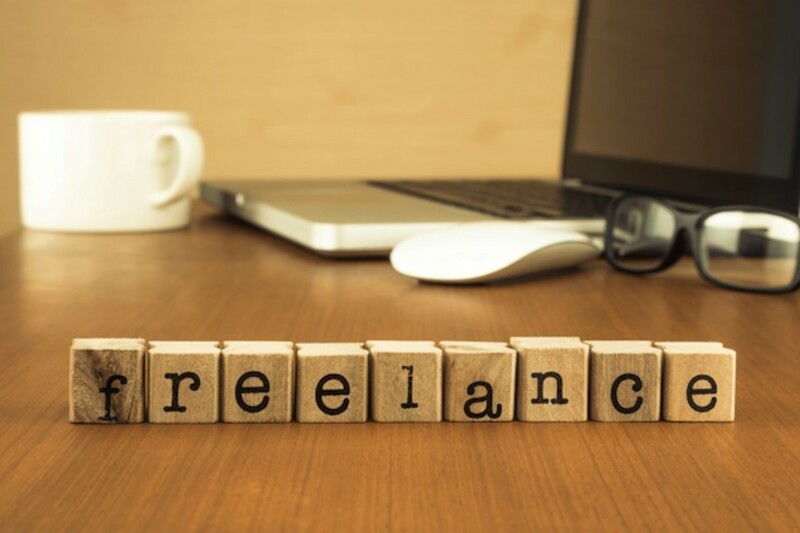 Freelancing, by nature, implies you sell your work to a variety of publications or through more than one outlet. Getting the assignment is one hurdle, but pleasing editors and giving them writing they will love is another. You need to build your reputation well, and keep it on a professional level. Here are a few unwritten rules to follow. Some are easy and some less so, but all are important tips to help you build a solid, well-paying career as a professional freelance writer. Not all editors are evil! The first rule to becoming a successful writer is to work well with your editors. Learn to take their comments and criticisms as lessons in how you can improve your craft. Freelancers and staff writers all have editors. If you're blogging or writing on a host site, you are your own editor, which puts you at a handicap, because writers truly do need those extra eyes to help improve their work. Your editor will catch errors you missed, or that you didn't even recognize were mistakes. Ideally, you should make corrections yourself, because you'll learn that way. If you habitually use it's rather than its to show possession, a good editor can help you break that habit by catching it and having you enter the changes. More than likely, though, an editor will make changes electronically and you'll never notice them. If you want to learn, and you want to get on their good side, pay attention to edits made in your documents and learn from them. Editors will often change sentence structure; this is another place to learn. See if the change makes the sentence flow better or changes it from passive voice to active voice. Does the sentence suddenly have more impact or clarity as a result of the edits? You can learn from this. Some editors (the good ones) will change a word or two and substitute one that helps bring out your meaning. This is a good opportunity to see how the first-line reader (the editor) reacted to your work and improved it to make the ultimate reader understand it more fully. Editors are generally not known for being nice and polite. Usually, they're rushed and on deadline, with multiple priorities tugging at them. If your editor sounds blunt or abrupt, just detach from the tone of voice and listen to the content of what he or she is saying. They have a job to do, and you're part of the means to get the job done. If you want to see some traditional 'editor' personalities, watch All the President's Men, which is one of the best movies I've seen about the relationship between writers and editors. In almost every scene involving editors, there's sarcasm, abruptness, impatience and many other sterling qualities editors sometimes display. But the end product (in the movie and in real life) is a far better piece of writing than if the editor weren't in the picture. If you never make mistakes, and if you have plenty of ways to earn money without going through editors (and you're actually earning the money), then fine, you don't need an editor and you don't need to put up with their changes and requests. Otherwise, you need that editor. It's called a deadline for a good reason. You're dead if you don't meet it. 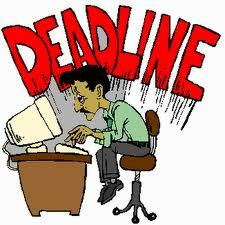 If you've accepted an assignment to turn in a story by next Monday, get it in on time, if not before. This is crucial for freelancers, especially. You live from assignment to assignment, and there are many hungry writers out there waiting to take your beat or column away from you if you make your editors angry by missing deadlines. You don't like it when you have to wait for the plumber or the cable repair person, do you? The reason is because your time is valuable, and you're paying for that service. That's the same position your editors are in. They're offering to pay you money for a product, and they expect it on time. If you want to be a great freelancer who is loved by editors, learn to meet your deadlines. The word will get out if you don't; writing is a small community, in the long run, and editors talk to each other. You want to be the writer they glow about, not the one that causes them to groan and reach for a second drink while they're chatting at the local bar. 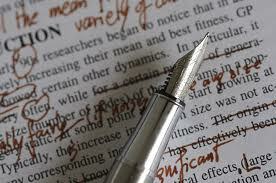 Editors hate sloppy, poorly written text! Be sure you turn in 'good copy!' Copy is what we call the document you submit for publication. Good copy means you turn in a story or article that's free of errors, the right length, covers the topic thoroughly and appropriately and is interesting to read. Editors hate to get copy littered with errors. It might be normal to find one or two things to tweak in an average story, but they will hate you if there are errors in every paragraph and if they see the same mistakes over and over. Some writers make editors wonder if they don't know about spell checkers on computers. And some writers make editors wonder how in the world they got through high school. Length is important, whether it's online or in print. As you know here on HubPages, there are recommended minimum lengths for hubs. These are in place to make certain the site doesn't get penalized by search engines for having content that is too short. The same issues are at play in print publications. Too short isn't good (unless the assignment specifically calls for a very short piece), and too long is not good, either. Find out the required length for your assignment and stay within those guidelines. If you're asked for a 1,000-word article, don't turn in 1,200 words with the attitude that the editor can deal with it. It is very time consuming to go through a piece and try to pare it down to meet a given space in print publications. Don't be 'wordy' in your work. This means to avoid rambling sentences or extra words in sentences. Write with economy and get to the point. Check your work before you turn in it. Give it a rest for a day or two (or even an hour or two, if the deadline is close) and come back and read it again, with an eye for typos, sentence structure and clarity. If you hope to be a professional (and well-paid) freelancer, take a look at your byline. On HubPages, that will be your username. If you have created a 'cute' name or you use initials with numbers or some other trick identity, decide whether that will ultimately move your career forward. Some made-up names on this site are very, very difficult to remember because they're acronyms or have some sort of special meaning to the writer, but not to anyone else. Some writers have more than one account here. I understand that there can be strategic or economic reasons for this, or that you might want to write one type of article under one name and other types under a different name. If your goal is to build a following, is this helping you? If you want to become known as a writer, use the same name for as much of your work as possible. If you want to freelance (meaning work for money by writing for several outlets), this is even more important, because you will need to turn in samples of your work in order to get assignments. Editors in credible publications might roll their eyes (behind your back) if you turn in four items using at least three different names, some of which are too cute for words. They will also want to verify the samples they're looking at are from you. How can they easily determine this if there are multiple names, or if the name HappyDogLover doesn't really let them know who the writer is? Having an unusual given name can work to your advantage - people may not remember it off the top of their heads, but it will register with them and they'll at least remember they have heard it or read it somewhere before. Eventually, it will stick in the minds of readers and editors. Your task is to make certain they remember it because you're a good writer who produces work people want to read. 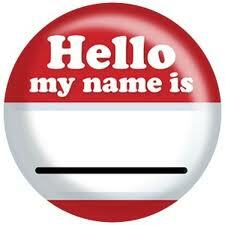 Some writers, especially in the online world, start out with pen names out of self-consciousness. You might be able to develop a following with your pen name (which is different, by the way, from the name a blog site might have). But it is far more challenging than if you use a regular name - either your own, or a variation of it designed for your writing career. What is your true writing style and niche? Often, if you are new to the career, you will have ideas that are all over the galaxy. You want to write poetry, you have personal anecdotes, you have information to share. Some writers are generalists (they write about many topics, which is what I do), but for many writers, that is difficult to do, especially at first. What is a niche? Your niche is the area or topic in which you write. You can eventually have multiple niches, or become a generalist (with more years of experience), but if you're starting out, narrow your field to one or two things you feel comfortable writing about (cars, gardening, anything that interests you enough to make it your specialty area). Then add topics as you go along, if you wish. 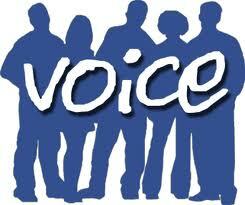 What is meant by 'voice,' and why it matters: Your 'voice' relates way you express yourself. Do you write biting satire? Are you a humorist? Are you straightforward with your words, or do you go for edginess? As with your niche, launch your career with a voice that fits your writing style; build your skills and reputation with one type of 'voice' before exploring other styles of writing. Readers can recognize when a writer forces his or her voice into a style that's not yet a polished comfort zone. Finding a niche: Decide on one or two topics or areas of writing you really want to explore. Do you want to write homemaking tips? Focus on that and learn how to stretch it, grow it, massage it and make yourself an expert in it. Then, when you've got a voice in that area, and maybe a following, expand to some topics that are closely related. If you write about the home, you can branch into parenting, gardening and relationship articles. Writing about cars can evolve into how to buy new cars, how to sell your used car, maintaining a car, dealing with mechanics and other topics. The advantage to taking topics in different directions is that it helps broaden the way you think as a writer. By broaden, I mean it helps you explore a theme or topic thoroughly and know it top to bottom. You can become known as an expert in that area of writing. New writers who don't focus on one or two niche areas will end up scatter-shooting and writing shallow pieces about a wide number of topics, none of them written in a thorough or deep way. Each product will look like that of an amateur, rather than the polished work of someone who is a professional writer in that field. Your niche is important! For freelancers, this is especially true. Editors want to hire writers who are experts (as in, expert writers) in a specific field. They know they can rely on their food columnist to bring in a good article each month, or their garden columnist to avoid repeating a story that's already been printed. Editors know you will turn in fresh ideas on the same topic. If you branch out and write for multiple publications, you can market yourself to new editors as a 'business writer,' or whatever. Editors don't like to have writers approach them wanting to write about areas in which they aren't experienced. You have to build up a track record in a topic to get paid in that area. 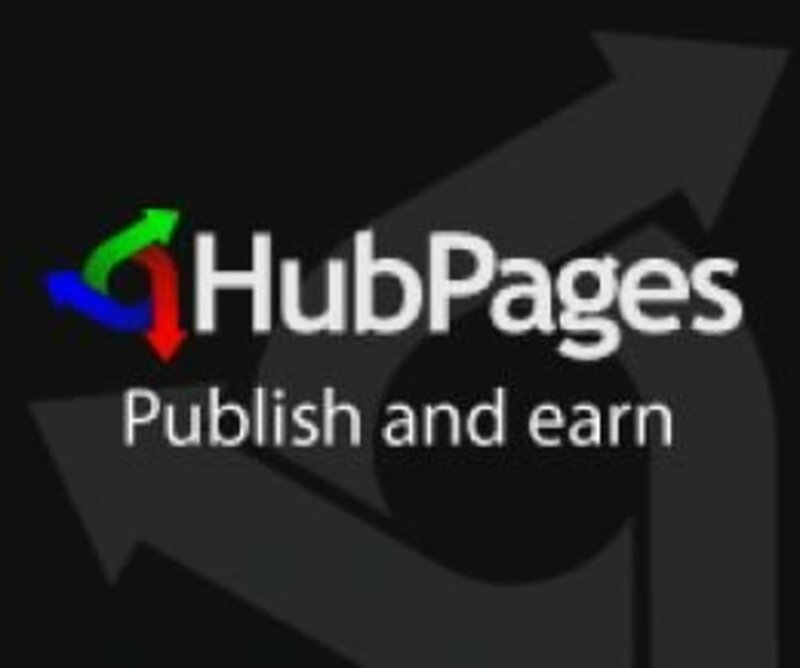 You can build a portfolio of work on a specific topic here on HubPages, and use that as your selling tool when you approach new editors. Just be aware that they will comb through everything else you have online as part of their screening process. This doesn't mean to get rid of anything outside of the topic area in which you're marketing yourself; it means you need to make certain every hub is as perfect as it can be. Write, and write a lot. Write new twists on the same topic. Write shorter pieces to become adept at saying a lot with just a few words. 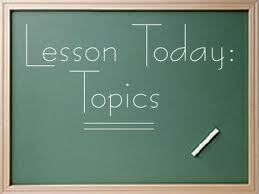 Write longer pieces, to show you can sustain a topic in a longer format. Every time you write, you learn. Every published piece is a chance to see how you can improve when you go back and read it a month later. As long as you are willing to learn and grow from your experience, there is no such thing as wasted effort. Sometimes you'll start a piece and not finish it; that's okay - it's practice, and it might have a use in the future. Save drafts of work you don't quite know what to do with; they might come in handy years from now. Don't lose heart if the road seems long and bumpy, and if you don't always know which sign leads to success. It's rare to find a writer who hits it big the first time, with a one-shot basket into the hoop. Most writers hone their work for many years, and never quit learning. As you gain more experience, you'll become faster and improve your writing skills. Watch how your work is edited, so you can avoid common mistakes in writing future pieces. You'll also learn what editors want from writers; each editor and publication, whether online or in print, has its own approach. Eventually, you will find ways to convert one article into more assignments. 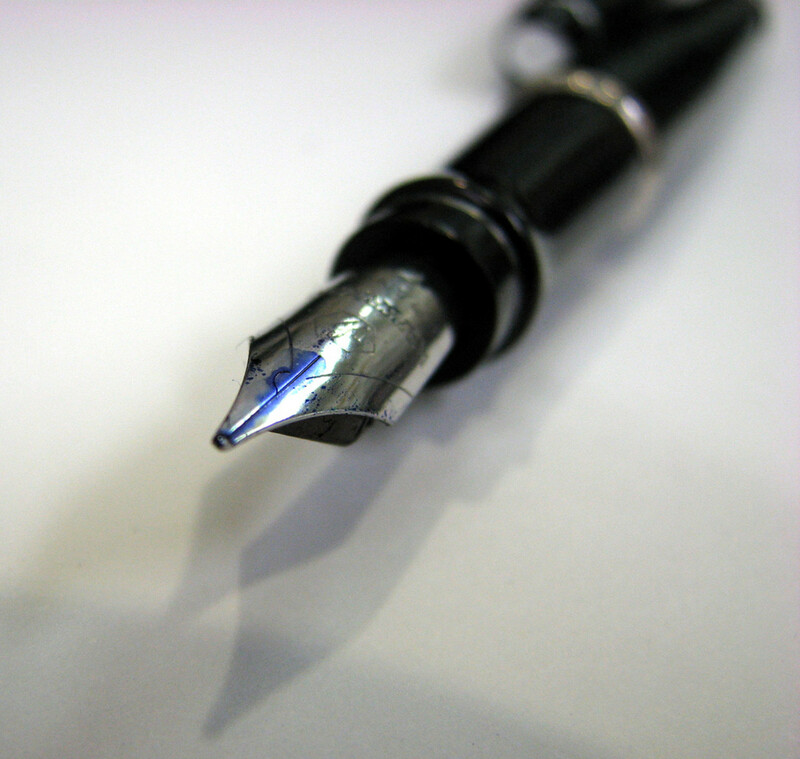 Many small businesses need writers for contract or project work. There are many ways you can make money as a writer, so keep at it, and keep perfecting your work, and you can turn it into your career. Hi, Randy - thanks so much for your kind comments; I greatly admire your writing, so that means a lot to me! I've missed this one somehow, Marcy. Very good advice and well written, as usual. Hi, kellyteam! So glad you like the information here - I hope you have great success in your writing. Thanks for reading, commenting and sharing! Great tips. this is a very informative and welll written hub. Thanks for sharing. Voted up, awesome and useful. Sharing. Hi, KDuBarry - welcome to HubPages! I'm glad you like the tips here, and I hope they help you start your new career; I look forward to reading your hubs! Thank you for these tips! It is good to know what to do, what not to do, and what to be aware of in this field. I am only twenty years old and I am attempting to start a career as a freelance writer. These are all definitely good tips I will keep close to mind when doing so; thank you very much! Hi, Eliza - thanks for reading and commenting here! I like the way you point out that attitude is important! Good stuff Marcie. It is great to be reminded of the tenets of freelance writing from the point of view of attitude rather than results. Thanks for sharing your ideas with us. Voted up! Hi, Mr. Happy - You make some good points here; you're right about some input from. Editors being driven by ads. That is more rare in large publications, though, than in smaller ones. But when you think of the people who write web content to appeal to advertisers, I guess it's an issue in many arenas. Hi, Savingkathy - Thank you so much for your kind comments! And thanks for reading and voting! Learn to take their comments and criticisms as lessons in how you can improve your craft - What if their criticism is due to complaints from the sponsors or those who advertise and thus pay the bills? It just seems to me that journalists especially, have to sing the tune that is told to them by their superiors and such ... maybe I just have the wrong impression. "Editors are generally not known for being nice and polite." - I can have a problem with this too. Show no respect towards others and I show You no respect. I am much like a mirror: be as You want me to be ... or I will be as You are. I suppose I just like everyone to have manners and I am not a fan of excuses. I never thought much about the byline ... now that I think of it, I do know a lot of writers who had an alias. Good point! I also think your rules on voice/tone, niche and practice are critical! Thank You for all the information here. I am sure it can be of great help for those who are trying to make a living writing. I think your experience shows in the way You explain things. Thanks for another insightful and helpful hub, Marcy. I always find your hubs to be well structured and full of great advice, and this one was no exception. Voted up and sharing! LOL! I've never heard of 'comment writers' block,' and you cracked me up, That Grrl! Thanks for reading the hub, and of course there aren't grades or anything for comments, but I'm glad you stopped by and said hi! I have comment writer's block. I liked your post but I can't think of more chit chatty details to add right now. This is not a reflection on your post, I've been on a commenting/ social media binge today. Thanks, Peg - I greatly value your expert experience in our field, and I appreciate your comments here. You're right; unless someone can accept input from editors, they'll have a tough time making it as their profession. This article was packed full of useful tips from choosing a proper name for your writing site to listening to the editor who is paid to critique your work. If all you want to hear is positive praise and you can't stand the corrections, this is not the field for you to enter. Another informative and helpful hub. Voted all the way up. Thanks, poshcoffeeco! I'm so glad the hub is helpful for you! Keep us posted on where it takes you! You give sound advice. I have learned a lot from your article. I will now go away and practice. I think you did a great job of picking a memorable, descriptive and unique Hubber name, Sharyn! It is easy to spell (and you don't have to remember some sort of acronym or number tricks) and it lends itself to writing. Well done! I'm glad to meet you here - and I enjoy your hubs! Thank you for reading and commenting! This is EXCELLENT Marcy and extremely motivating for me. I do realize I have SO much to learn and that is why I appreciate this hub. I must say that I am happy with my "hub name." I took a long time brainstorming before I chose it. My last name is Smith and I knew I didn't want to use that. I feel my hub name gives me the ability to truly give my own "slant" to my writing. I admit, when I chose it, I was not knowledgeable enough to know the impact it would have. I think I got lucky. Thanks for this great hub! Thanks, Vegas - I'm glad you enjoyed the hub! Thanks, Miss Travel! I will check out your hubs - and I appreciate your comments! Good information. Hope you check my hubs some time. Thanks, pmmcray! I'm so glad you liked the hub, and I appreciate your comments. Great read and good advice. Voted up, marked useful, interesting and book marked. Thank you for reading and commenting, htodd! Melovy - I would love to see you do some 'how-to' hubs on fiction (or maybe I need to search to see if there are some in your archives). That's one area where I want to stretch my skills. Thanks so much for reading and commenting here! Hi, Lisa - thank you for reading and commenting, and for sharing! I always enjoy your hubs, too! Thanks, Bobbi - I am so happy you found some good ideas here. I keep learning every year, too (despite all the years I've worked as a writer), and as with you, I love the information and support we get here on HubPages. It's a great community. Thanks for your comments! Very interesting and useful hub Marcy. There is so much for me to digest here I will bookmark and come back for more. 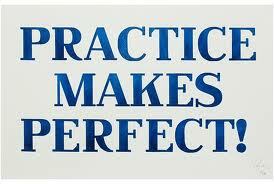 Practice is so important - my experience was mostly in fiction before I came to Hubpages, and I was very slow. I am still slow at writing compared to many, but compared to how I was - wow I’m fast now! Thanks for the hub. I love tutorial hubs with motivation. Thank you for writing this and sharing your knowledge with us. Definitely bookmarking this one in my file. Voted up and sharing! This is a very informative hub, and it is wonderful of you to share your experience with the ones who need it (me). Although I took Journalism— some days I cannot please myself. But I keep writing, and having fun at it; while meeting such nice people on HP, like you. Thank you, teaches - I appreciate your comments. I hope some of the information will be helpful as you grow your writing career! Your advice is valuable in pointing out the basics of what makes you a good writer. There is so much more to writing than just putting words down on paper and your ariticle will help to understand the breadth of this career. Thanks for sharing. I deeply appreciate your wisdom and expertise. Voted up. Hi, Sandra - I'm so glad you enjoyed the hub. Thanks for commenting! I look forward to reading your hubs. I don't blame you for feeling conflicted, homesteadbound. You could always start by putting your real name in all your hubs, creating a second profile, and referring people to it in hubs under this name. It can be done, but it's tedious. Since you've only been writing less than a year, there's plenty of time to make it work. Either way, you are a huge asset to this site! This is great advice. I wish I had chosen to use my real name when I had started on HubPages. It is possible to switch, but you lose all of your followers when you do. I would hate to lose my followers. Hi, Kavita - I know what you mean about not particularly liking editors; I've met a few like that, too! I've also met editors I enjoyed tremendously as friends, and that often mitigated the other feelings. And as you mentioned, in each case, I learned and benefitted from their suggestions. Thanks so much for commenting here! Thank you, theastrology - I'm so glad you found ideas here that will help you in your writing career. I appreciate your comments! Perfectly written and useful for all freelance writers, It will sure help me. Awesome points here Marcy. I totally agree with your views on using your real name and maintaining it across all your work profiles. Editors can often be a pain in the neck, but we writers have a love-hate relationship with them. To be honest, I have never ever liked any editor who criticized my work, but I have ALWAYS benefitted from their suggestions. Voted this hub up. Thanks, Billy - this is nice to hear from someone I respect as much as I do you! Thank you for reading and commenting. Great tips but I would expect nothing less from you. Great hub for the established writer and the newcomer. Thumbs up all the way! Thanks for reading, Anamika, and thanks for your comments. You're right, it's important to have a good relationship with our clients; when you have their trust, they will support you through those times when you run into problems. Everything you have written makes sense! Deadlines often get me into trouble because most of the time things do not work the way I plan and some other work comes in between. 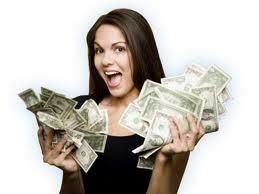 But I have managed to develop the trust and reliability with my major clients, so they do not interfere much. As far as writing on sites like hubpages are concerned, I concentrate on writing on only certain niches I am knowledgeable about. Good Hub, Voted up! Thanks, Crystal - I know what you mean about being interested in many topics and having trouble picking The One to start with! Just go with one you like to read about yourself, and that piques your curiosity, and it will help keep you writing as you go forward, because you're less likely to lose interest. Then start expanding, and take the next topic in various directions, too. Best of luck! I look forward to reading your hubs! Excellent advice, Marcy. Thanks for this hub. I am still unsure what my niche area should be. I don't believe myself to be an expert at anything, and am used to writing about a variety of topics, but I think your point about having too much variety and winding up with shallow work is right on target. This has given me plenty to ponder. Voted up. Thanks for your comments, jm72writes - using my real name has been the best choice for me. I'm sure you can convert to it, if you decide to do that! Best of luck with your writing goals! This was an awesome, informative hub! Most of the points I already follow (especially meeting deadlines), but I really enjoyed the point about choosing a name. I've been trying to decide if I should switch my Hubpages username to my actual name. Your article gave me some more to think about.